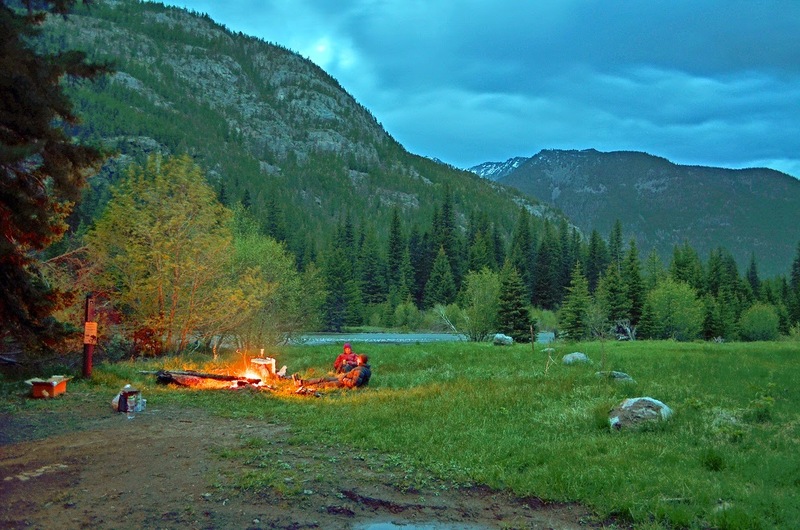 However, during the last few weekends, David and I have been going out to the Beartooth Mountains with our friend, Sander, to boulder and camp. Though a few people have done a little climbing out there, the overwhelming majority of rocks out there are completely untouched. Our weekends have been an almost even mixture of brushing, building up landings and bouldering. It's awesome to find a grungy, overgrown boulder, brush it for a few hours, and discover a solid, beautiful rock. This boulder, now called "Cosmos" has been the main attraction so far. Here, David works on Supernova. 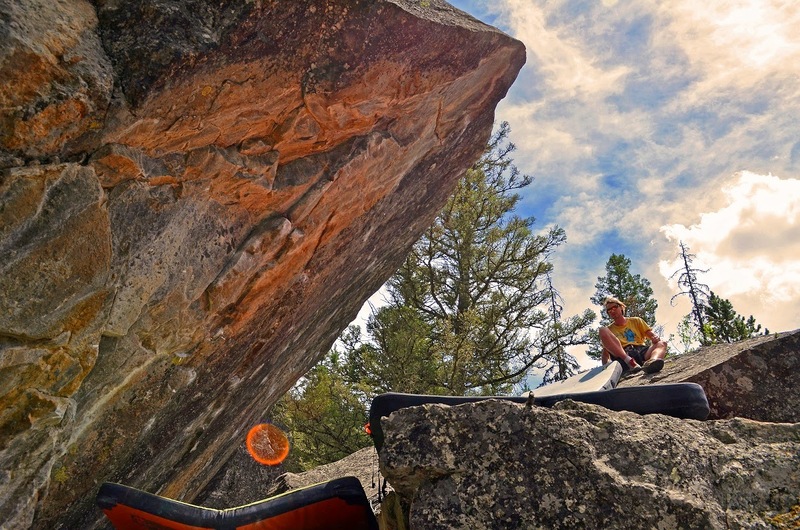 It's a 17-move mega problem that climbs high above the boulders, below. Amazingly, the landing for this thing is pretty reasonable. Sander snagged the first ascent of this and calls it V10. David climbed it just afterward (without a spot!). About a minute from the parking for the boulders is this amazing campsite. Just to the right of Supernova (also on the Cosmos boulder) is a line that Sander sent last weekend. They called it Big Dipper (V12). Here, these guys work the moves. This amazing boulder has more than a half-dozen other lines that together we have cleaned and climbed. These problems offer a really nice variety of grades and styles. David and Sander team-brush. David sent the stand-start of the line below, and named it Spears of Madness (V10); they estimate the sit start will be about three grades harder. Here's an awesome boulder just across the way from Spears of Madness. Someone had apparently brushed a couple of holds on this thing before, but I gave it a proper scrub-down over the course of a couple of days last weekend. Our camp stove is currently out of commission, so it's dutch oven dinners for us. Unfortunately, I accidentally smashed my toe with a log whilst trying to build up a landing. it hurt like crazy! A week later, it's still bruised and very painful... so I'm pretty sure it's broken. Which is OK for now because I can still get to the boulders and brush this weekend. Nice!